Picture one twelfth of a teaspoon of honey. That’s what one honeybee produces in her lifetime. Now picture a field full of spring flowers. A hive of bees has to tap two million of these flowers to make a pound of honey. It’s an amazing feat that happens in our own backyards. The taste is influenced by the different flowers within foraging distance and the sunlight, rain, and humidity of that particular spot. 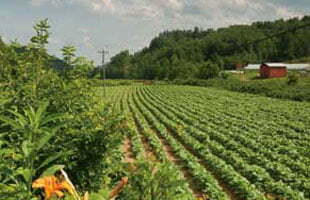 These microclimates mean that honey from each corner of Western North Carolina has its own flavor. WNC was the home of a local honey champion. The late Laurey Masterton was a beekeeper and authored The Fresh Honey Cookbook: Recipes from a Beekeeper’s Kitchen. Her cafe in downtown Asheville was a gathering spot for honey enthusiasts. She was a longtime cancer survivor, and next week marks the third year since her passing. Masterton did many activities with students, from cooking in the classroom to helping on farm field trips. Jackson remembers a honey taste test Masterton did at local schools. She brought several different local honeys, plus exotic flavors like avocado honey. The goal was to help students understand the many connections between plants, bees, and honey. 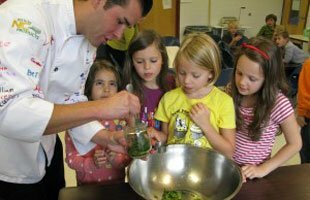 “She loved seeing kids get excited about food and where it comes from,” Jackson says. Laurey Masterton’s mission to teach people about bees went beyond the classroom. She also hosted the first two years of the International Black Jar Honey Contest at her cafe. The contest is an annual blind taste test of honeys from WNC and around the world. It’s presented by the Center for Honeybee Research, based in Asheville, which aims to educate beekeepers and the public about the importance of honeybees and the environment. Masterton was instrumental in the early years of the contest. Carl Chesick, director of the Center for Honeybee Research, remembers the year that 40 judges crowded into Laurey’s cafe to taste honey. The contest has been refined since then, now with 10 judges, including chefs and prominent members of the food community. Here’s how the contest works: the jars are wrapped in plain brown paper and assigned an identifying mark. Judges taste each honey through a thin black straw so they can’t decipher the color. Fruit, crackers, and mild cheese are provided along with water to help cleanse the judge’s palettes. The categories and origins of the honey are revealed only after the judging is complete. Chesick says that the local categories are some of the toughest to win because the contest receives so many entries from WNC. Laurey Masterton was the 2013 winner in the “Best Local Blend” category. She kept her bees in Weaverville and her winning honey was a blend of spring and summer wildflowers.